Found 3 guides for Audens Col trek. Auden’s col trek is in the Indian Himalayas, in the Indian state of Uttarakhand. Uttarakhand is called ‘Dev Bhoomi’ or the land of gods. Uttarakhand is in between Tibet, Nepal and Himachal Pradesh. Auden’s col is a tough trek and could be dangerous because it goes through deeply crevassed zones. This trek is best done with experts from the local area. Dramatic views of high mountains and vast snow expanses can be seen on this trek. During the end of the trek, depending on the season and route you could see green meadows and dense forests. Auden’s col connects the peaks of Jogin I and Gangotri III. The col is at an altitude of 5450 meters. The col also seems to sit on two glaciers. The Khatling glacier and the glacier which comes from Jogin I. 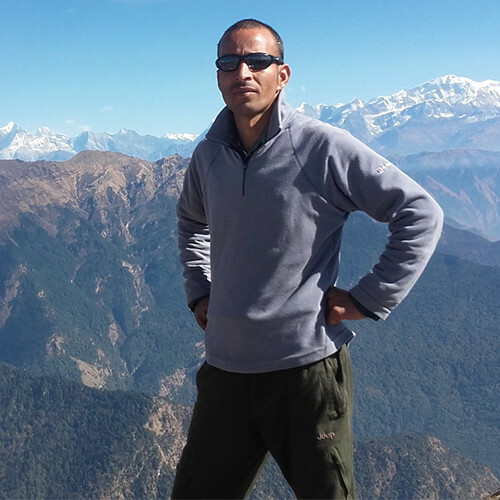 The trek starts from Gangotri in Uttarkashi district of Uttarakhand and exits at Kedarnath. Alternatively the trek could exit from Guttu village which is close to Ghansyali. The trek can be done in about 12 days to 15 days, depending on the fitness of the team, days of acclimatisation and the exit route. After crossing Auden’s col, there are two exit options. The first one is to exit through Masar Tal, Vasi Ki Tal to Kedarnath. The other is to exit through the Mayali Pass trek route which is from Tambakund, Kharsoli, Gangi to Village Guttu. Village Guttu is a days journey from Haridwar or Rishikesh. Please contact a local guide for an itinerary. The closest railway station is Dehradun. Trekkers can take a train to Dehradun and from Dehradun to the trek start at Gangotri is by road. Some guides arrange for a pick up from Dehradun. Alternatively, Gangotri could also be reached via Rishikesh. If you need more information on your travel options do not hesitate to contact one of the local guides or send us a message. A sample itinerary starting and ending at either of Rishikesh/Haridwar or Dehradun. Day 9 Explore Khatling Glacier and Caves. Day 9: Explore Khatling Glacier and Caves.